TO-37 header is a common packaging solution for detector applications. It’s a “diamond”-like analog of TO-39 header. The material of TO-37 header is usually Kovar or cold rolled steel (CRS) coated with nickel and gold for base and pins. 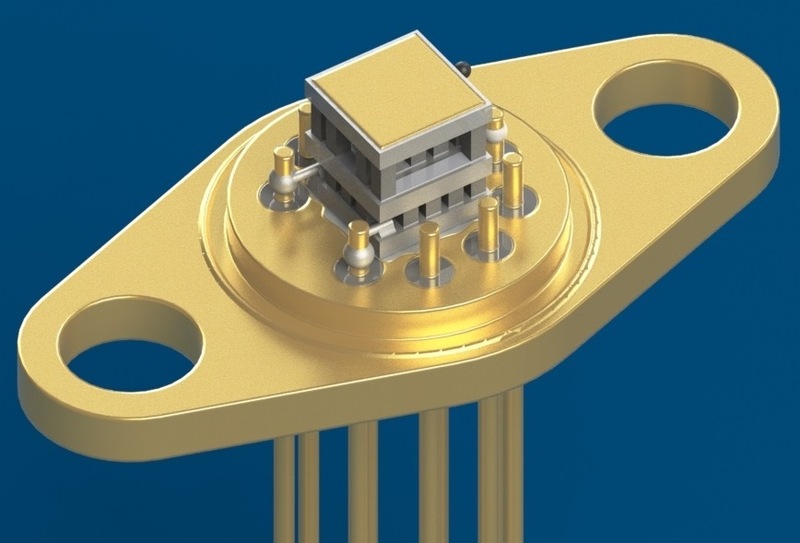 RMT Ltd offers thermoelectric sub-assemblies on TO-37 header with 6 or 9 pins. Header version with 9 pins is standard and mostly requested. Other types available by request. The header surface open for mounting is about 3.2×3.2 mm2. It’s surface enough to mounting various single- and multi-stage TECs types. RMT Ltd may integrate any suitable TEC from more than 2000 standard types available. This is a list of standard, most common solutions with thermoelectric coolers mounted on TO-37 header with 9 pins. The complete list of possible solutions is wider. TO-37 header is suitable for any thermoelectric cooler with hot side dimensions up to 3.2×3.2 mm2. Please, contact RMT Ltd in case if specific solution on TO-37 is required. TEC performance parameters are specified at standard conditions (+27°C, vacuum). The datasheet for each sub-assembly contains also the additional data, specified at +50°C, N2. Please, download the datasheet for detailed info. The affect from TO-37 Kovar base thermal resistance (Rt) is included into specified performance values. 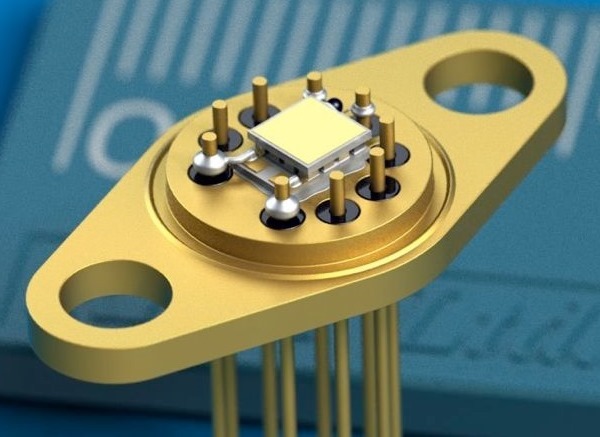 TO-37 sub-assembly is required to be attached to an appropriate heat sink to spread the heat, pumped from optic sensor or another source and thermoelectric cooler. Heatsink thermal resistance may affect on performance, and is required to be as low as possible. Heatsink thermal resistance influence is not included into specified performance data. You may use TEC Select Assistant to find other thermoelectric coolers suitable for TO-37 header. Press the On-Line Assistant link and specify hot side dimensions as 3.2×3.2 mm2 as a main search criteria. The cooling capacity of TEC is recommended to be as at least 2 times higher than expected heat load in the application. For example - for 2W estimated heat load, please, specify TEC Qmax as at least 4W in the search field. The assistant will specify all thermoelectric coolers compatible for installing on TO-37 package. 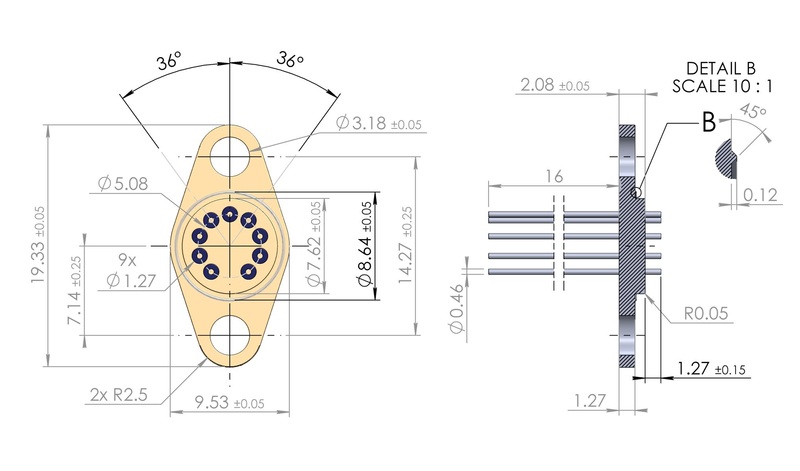 The datasheets for not listed TO-37 sub-assemblies are available by request. It's a typical drawing of TO-37 header. The header dimensions may vary to a small extent, depending on the manufacturer. 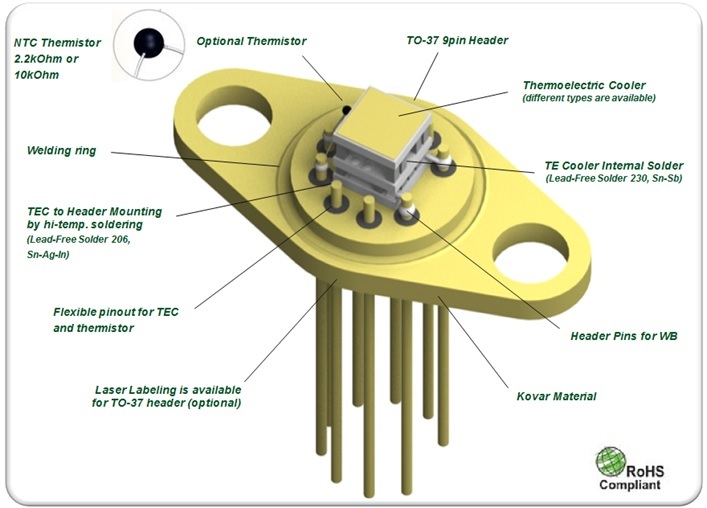 Note: RMT Ltd provides the sub-assemblies - thermoelectric coolers, mounted on TO-37 headers. The company doesn’t manufacture the headers or provide headers separately. The mounting service is also available on Customer’s headers upon request.